It’s the easiest recipe in the business when it comes to wanting sugary treats with your grandma on a wintery day where all you want is a sweet baked roll while you watch your favorite Disney movie. This is also a good way to use up bananas that have become VERY ripe before the fruit flies began to plan their arsenal attack on your sanity. nuts (optional); walnut, macadamia, almond, etc. Place a about 1.5 teaspoons of butter in each muffin slot of a muffin sheet; place in the oven while it is pre-heating so as to melt the butter. Place the extremely ripe bananas in a medium-large bowl. Using a fork, mash them until they are pureed looking mess. Splash in vanilla extract and a pinch of salt; give a quick mix. Add Bisquick, mixing thoroughly until you have a workable dough. 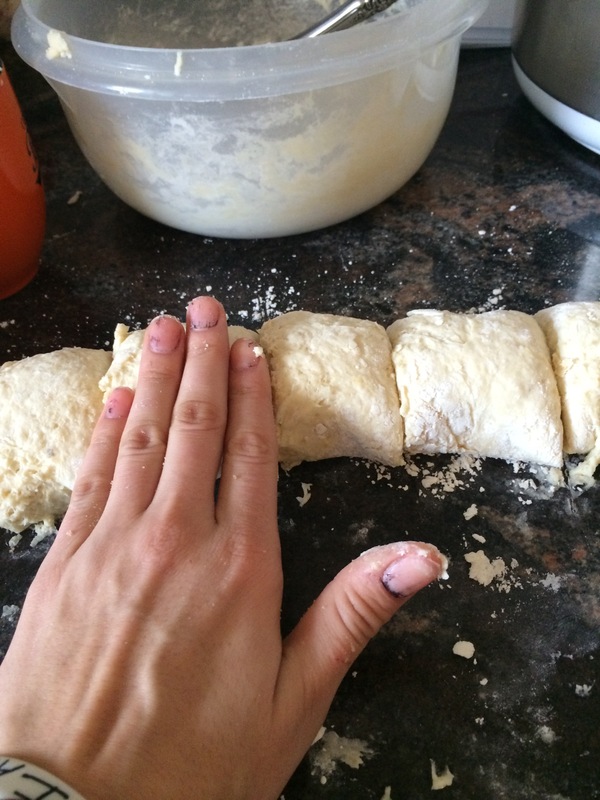 Place upon a floured surface and work until the consistency is thick and doughy. Roll out into a rectangular shape, making sure that it isn’t too wide. Check on the muffin tins in the oven; once melted place a tablespoon of brown sugar do be dissolved into the butter. Leave the muffin tin sitting out. 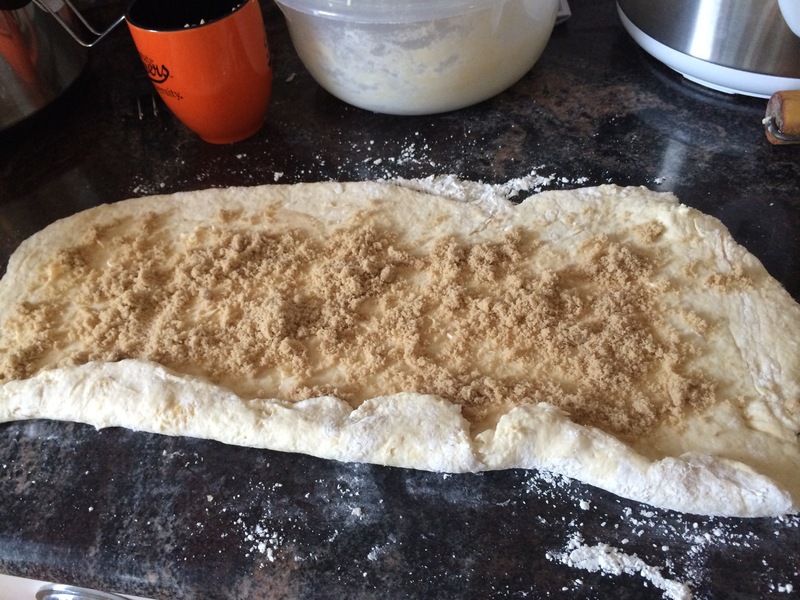 Once the dough is rolled out, spread butter liberally on the dough, sprinkle brown sugar liberally and then a dash of granulated white sugar. The brown sugar to white sugar ratio should be 2:1. Sprinkle cinnamon over the sugar. Place them, one per muffin slot, in the muffin tin. Bake for 20 minutes or until a toothpick inserted into the dough comes out clean. Once done, turn upside down onto a plate, the tops will be gooey and delicious!